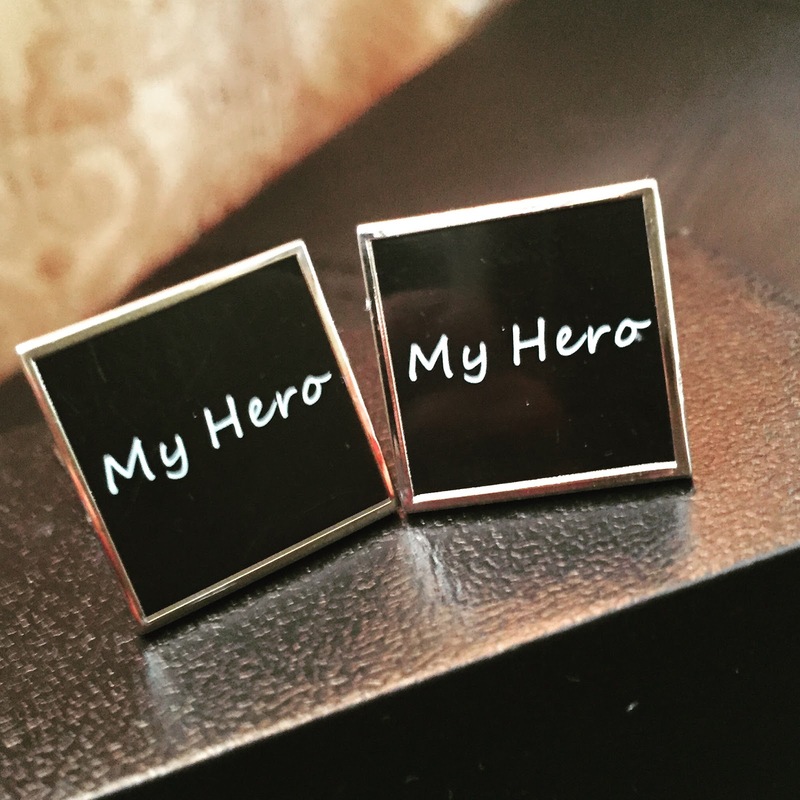 Most of the time Dad is your little one's first hero. The man you can count on when you need a strong shoulder to cry on or someone who lifts you up and always has your back. Hey who else can give never ending piggy back and shoulder rides? 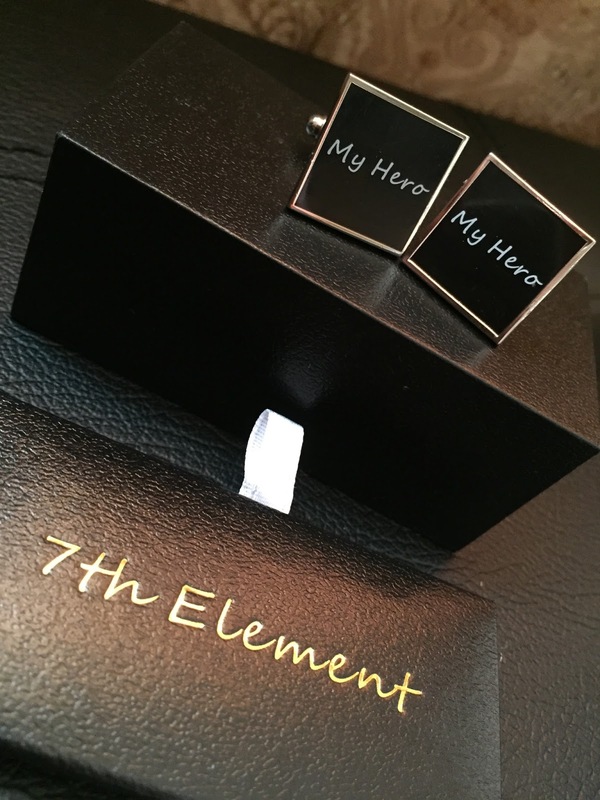 This Father's Day give Daddy a gift that tells reminds him how you feel every time he looks at it with a set of Stainless Steel cuff links from 7th Element. 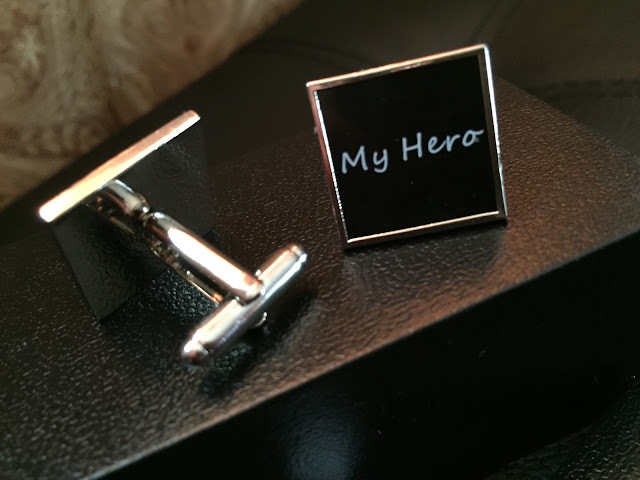 These cuff links are so nice. They are masculine while still being sweet. The "My Hero" against the black background with the Stainless Steel border looks strong yet makes a statement that this person is loved. 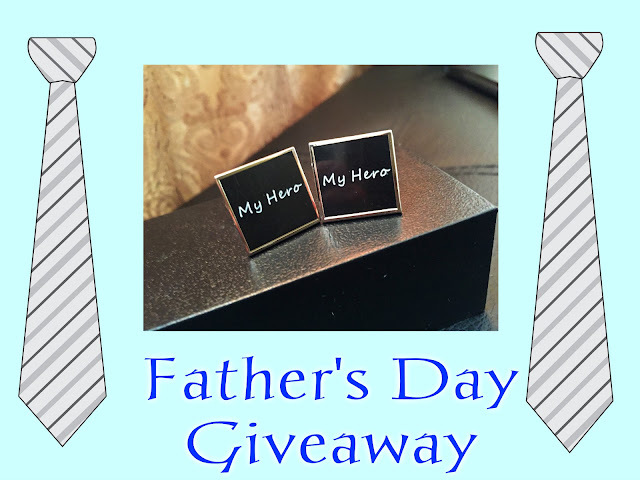 The cuff links are delivered in a gift box this is perfect for Father's Day, or even a Birthday or Anniversary gift for the man you love.